QueenBee Secrets | Natural Skin Care & Skin Repair | Open wound from treatment finally healing after 6 years. Home/Uncategorised/Open wound from treatment finally healing after 6 years. Michael met Di at Eumundi last week. 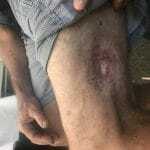 He had an open wound caused from cancer radiation treatment. A skin graft went wrong and he had to have it dressed with sterile dressings for 6 years. 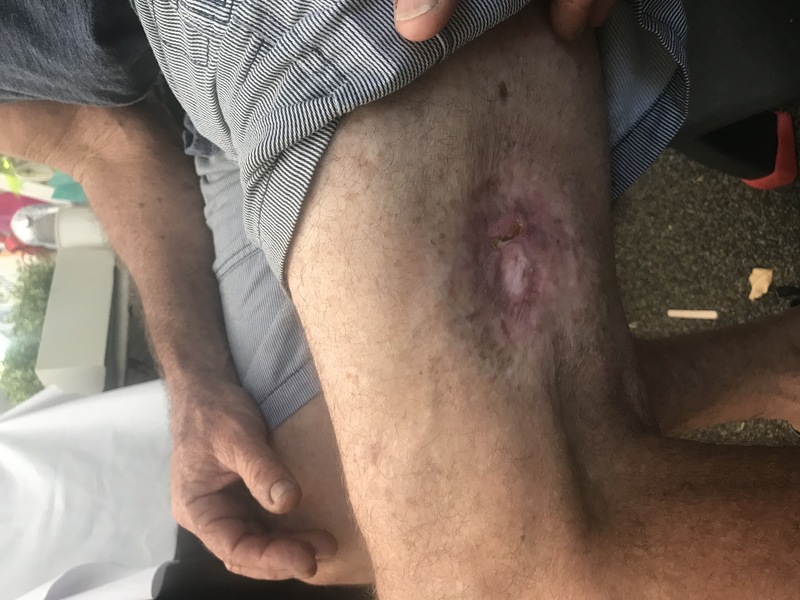 He came across Rapid BEE Repair and 3 months later no more wound dressings.